Pretty pink blooms across a 50ml hand cream tube. 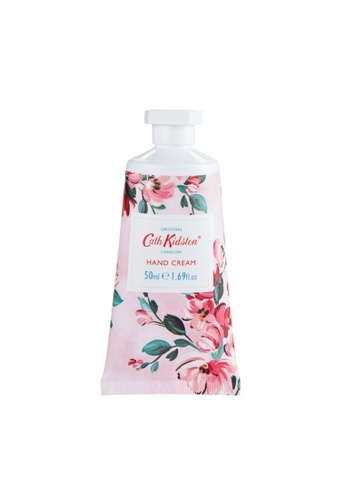 Choose from a variety of fabulous designs from the instantly recognizable Cath Kidston iconic prints, signature scent. With our new feel-good, fresh fragrance scented of orchard apple and sweet elderflower berries. Moisturizing Vitamin E enriched hand creams. Paraben free. Can't find Paintbox Flowers Hand Cream in your size?